WA Patriot is proud to announce that we are the recipient of two AGC Build Washington Awards for leading our projects safely and serving our clients with excellence in 2016. 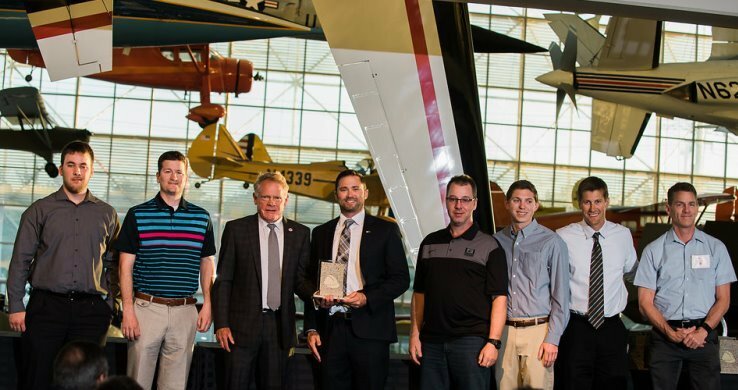 We received a Construction Excellence award for our work on the 777X Systems Integration Labs for Boeing at their Plant 2 location. Click on this link to read more about our Construction Excellence award. We also received a Safety Excellence award for successfully implementing our corporate Safety Program. Click on this link to read more about our Safety Excellence award. A great big thank you to the AGC of Washington for honoring us with this recognition, and to all team members who contributed our successes in 2016.